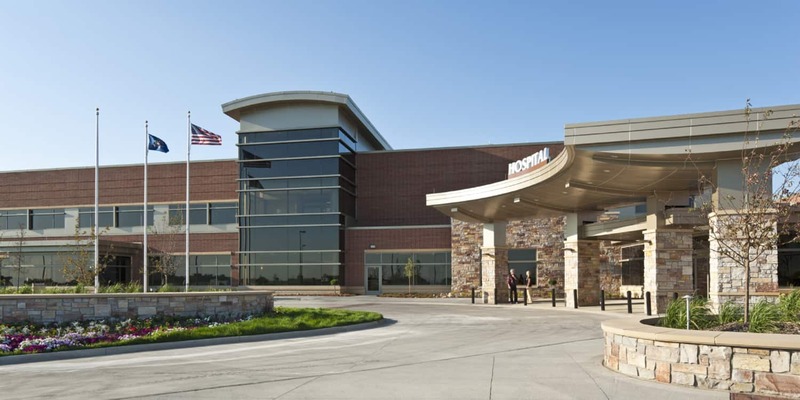 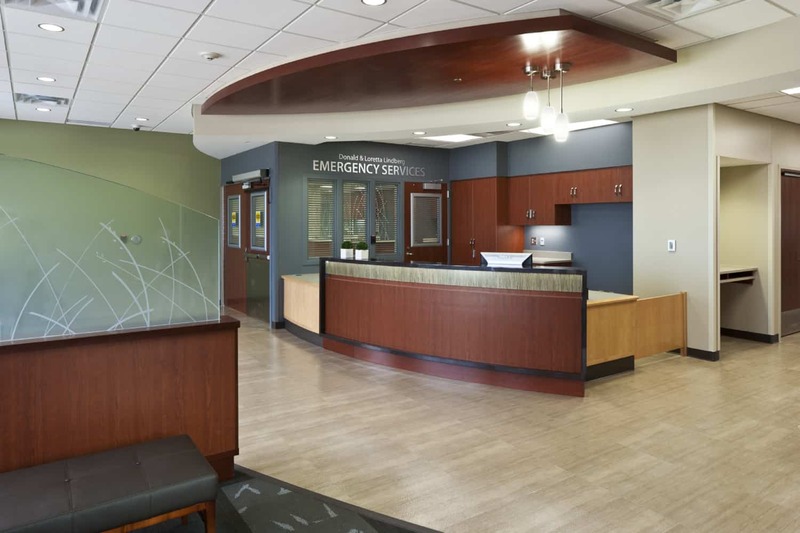 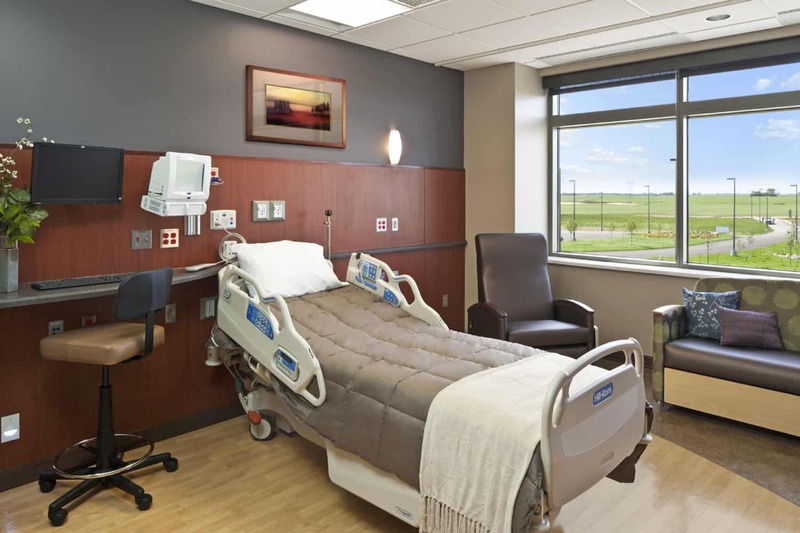 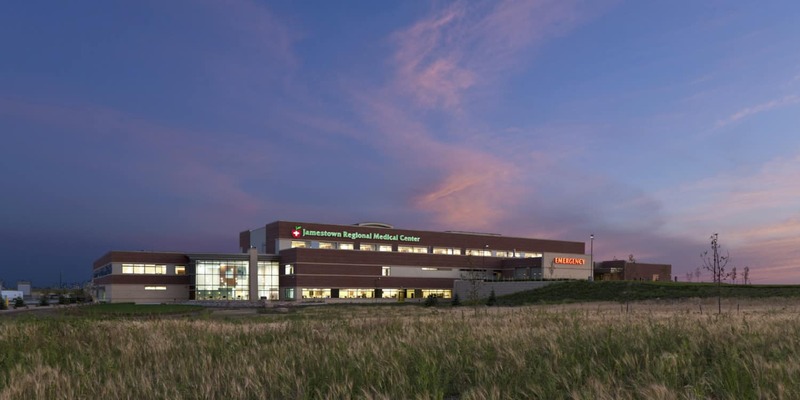 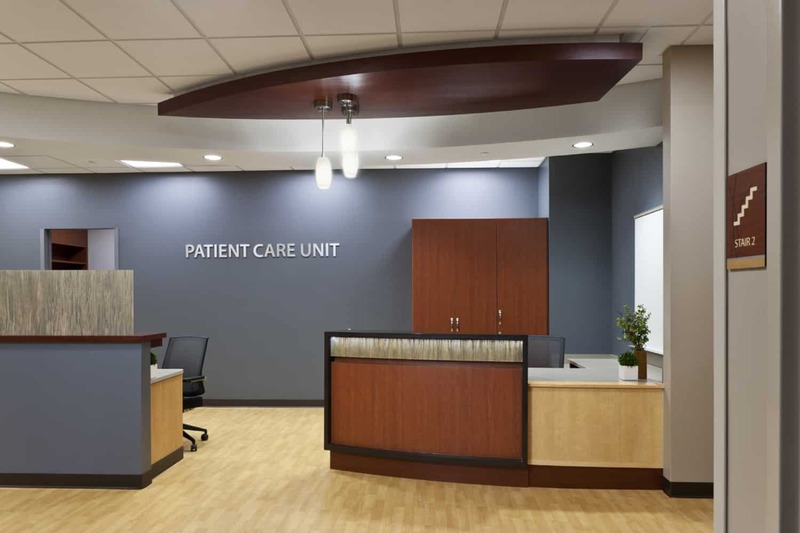 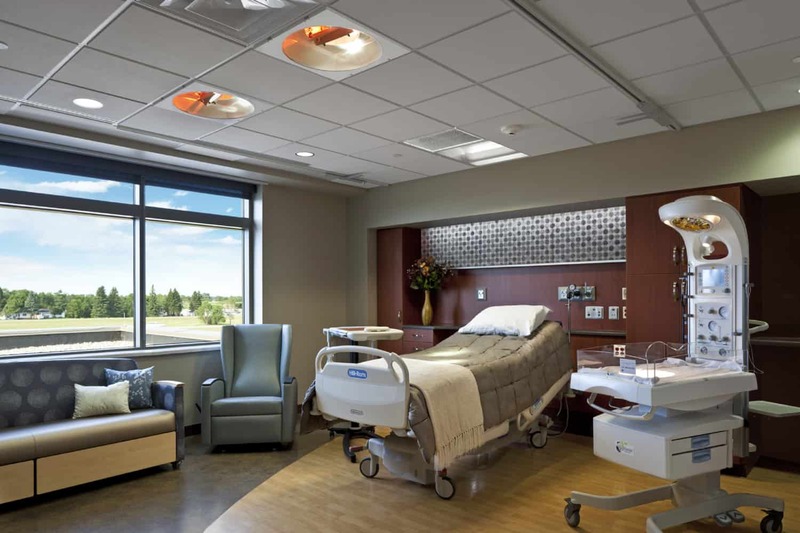 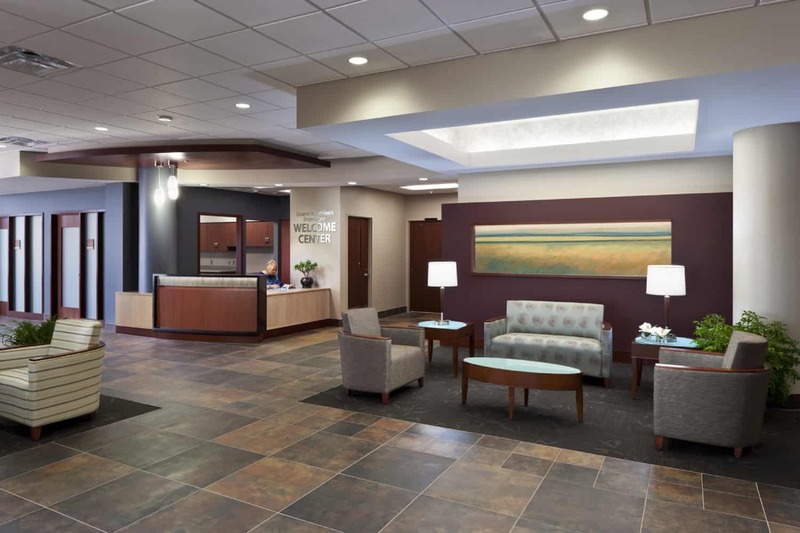 Serving more than 55,000 people in a nine-county region, Jamestown Regional Medical Center is a high-profile facility sited off of Interstate 94 with easy access and conveniently located services. 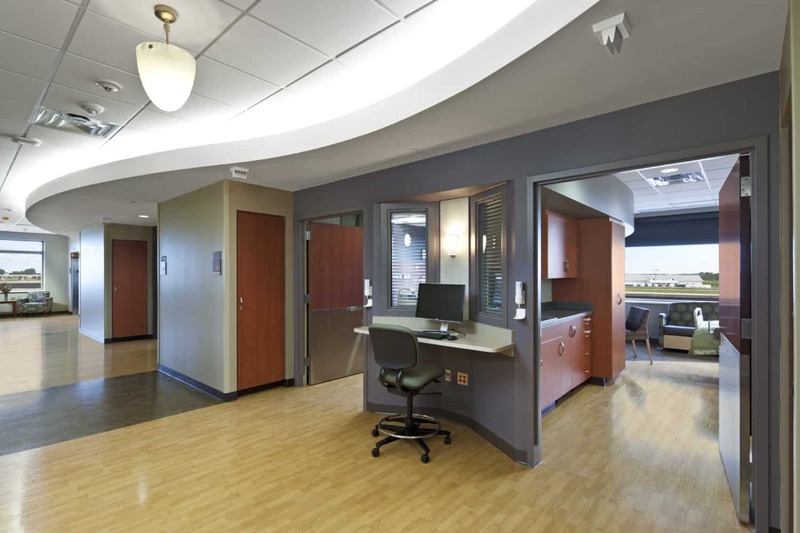 The 25-bed critical access hospital replaced a 75-year-old hospital and built departmental adjacencies to create greater convenience and way-finding for patients and medical staff — imaging and lab departments serve patients visiting the adjacent medical office building; nurse servers and charting stations located just outside patient rooms improve response time and patient observation; and surgery located below the Birthing Center provides a direct connection for emergency C-sections. 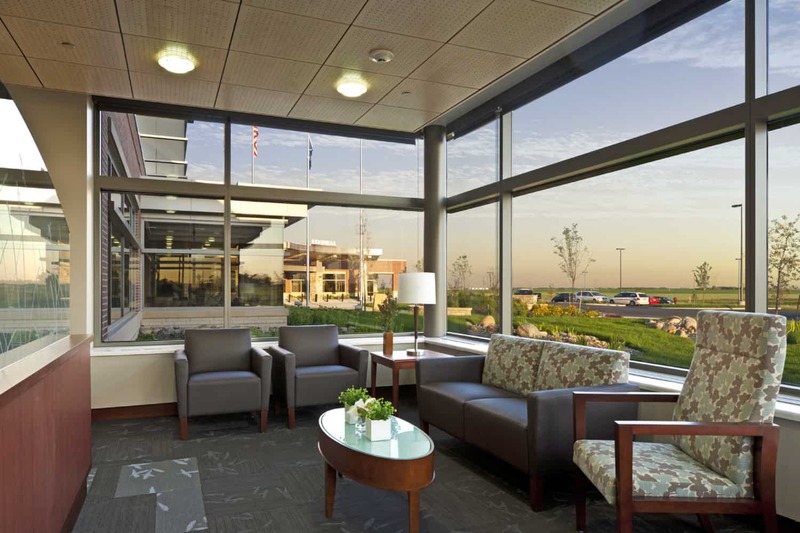 The spirit of the project is found in the connection within the landscape. 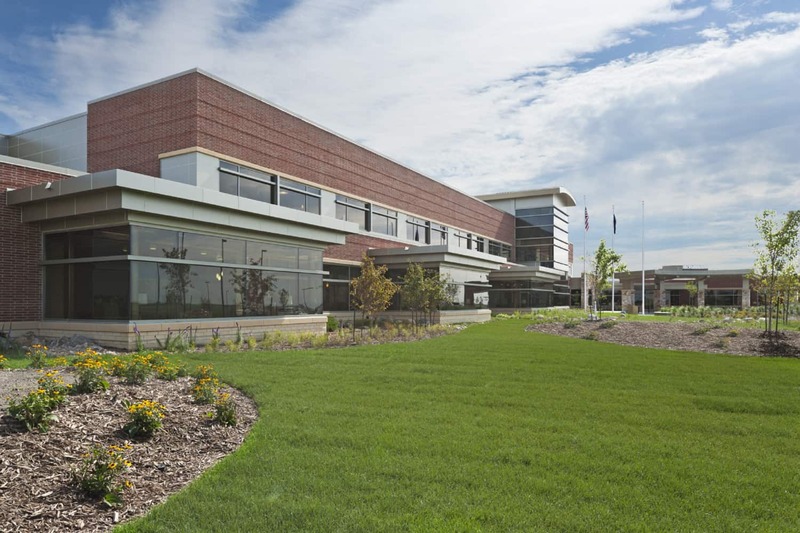 The architecture emphasizes both organic curves, representing the grass, grain, nature, crops, clouds, and sky, and rigid forms reflecting the typography of the land from above. 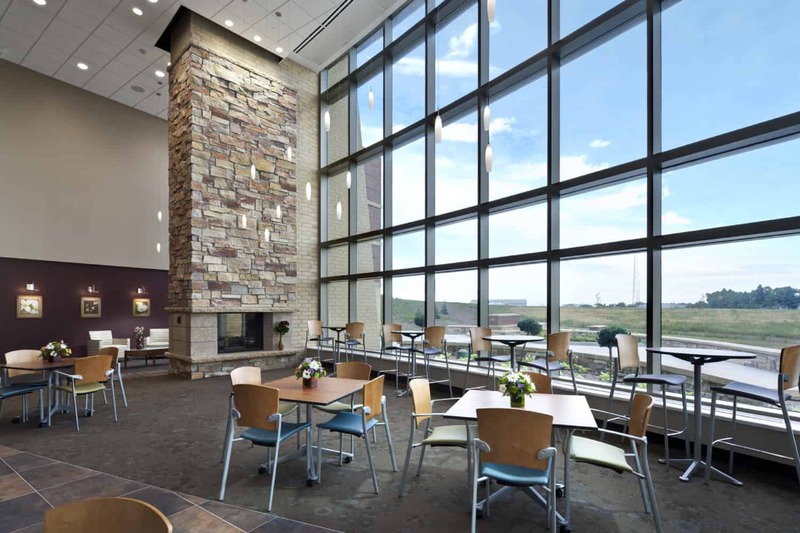 Materials were selected to represent the natural elements found in this region and to blend with the building’s surroundings.